Create a project using Teal, Red, White and Green! You have TWO WEEKS to play along - Deadline to enter is Friday, December 16th, 2016 at Midnight CST. The winners will be announced on the NND blog. Post your project to your blog or to an online photo gallery such as Flickr, Pinterest, or splitcoaststampers (on splitcoast please use keywords newtonsnook and IPC38). Several of our Design Team Members decided to play along - check out all the awesome cards they created, inspired by this fun, festive color palette ! Read the description below each card to see who made it. This sweet winter card by Yukari features our bunny, Lily, dressed in a Christmas colored sweater from the Sweater Weather Stamp set! She used the color combo on the sweater, leaving the bunny white and added a bunch of fun mittens in the background too! The "Season of Joy" sentiment is from the Beautiful Baubles stamp set. 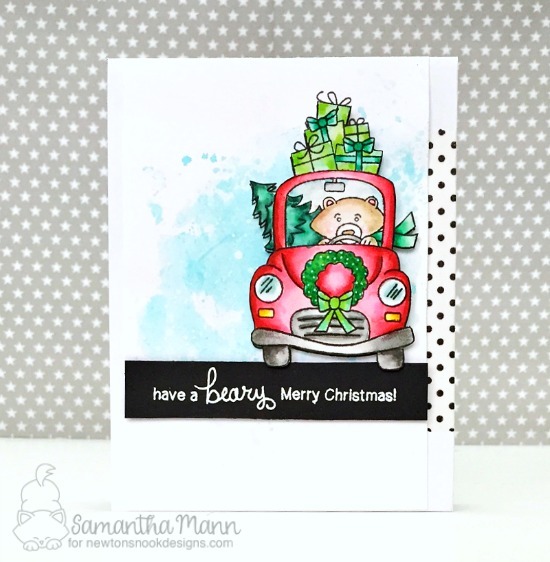 Samantha used the fun color combo on this card featuring Winston driving his car full of gifts from the Winston's Home for Christmas stamp set. She used the red and green on the car, gift and trees and added the teal as a watercolor background on white paper! 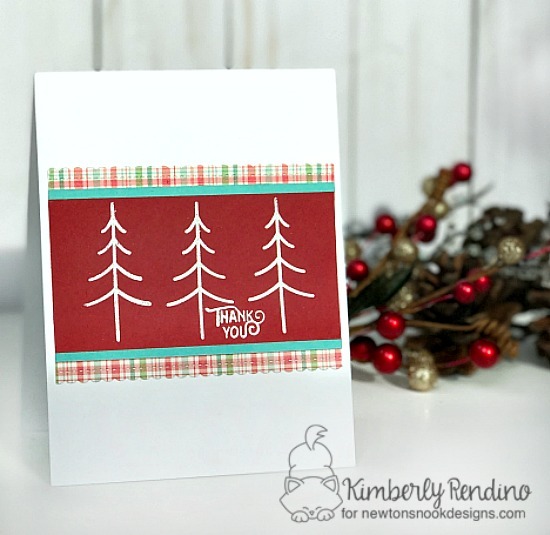 Kimberly created this adorable card by embossing the trees from our Festive Forest stamp set in white over red cardstock! She added in the "Thank you" from our Vegetable Garden stamp set and a just a little pop of teal! 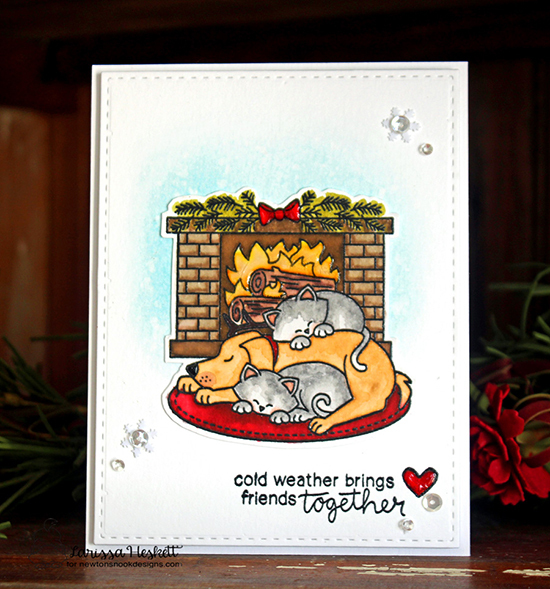 This sweet fireplace scene by Larissa uses red and green on the rug and fireplace swag while keeping a white card base. Then she added some teal in the background to help this lovely scene op off the card! This sweet image is from our Fireside Friends stamp set. 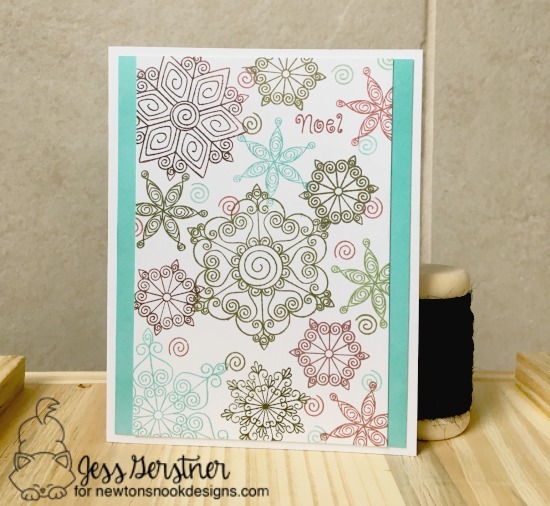 Jess created a flurry of snowflakes from our Beautiful Blizzard stamp set using the chosen color combo! I love how pretty this looks! She added an extra pop of teal up the sides too! This gorgeous wreath shaker card by Naki uses the color combo in the form of sequins inside the shaker! 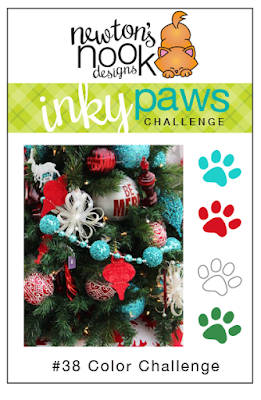 She also used the red and green on the wreath which was made with our Pines & Holly Die Set, and added an extra pop of teal with a teal tag using our new Joyful Tags stamp set! Such a fun card! 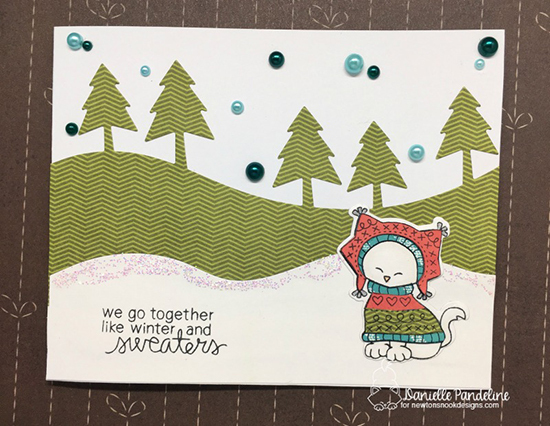 This cute forest scene by Danielle features our cute kitty in a sweater from the Sweater Weather Stamp set! She used the green, red, and teal on the sweater, leaving the kitty white! So cute! 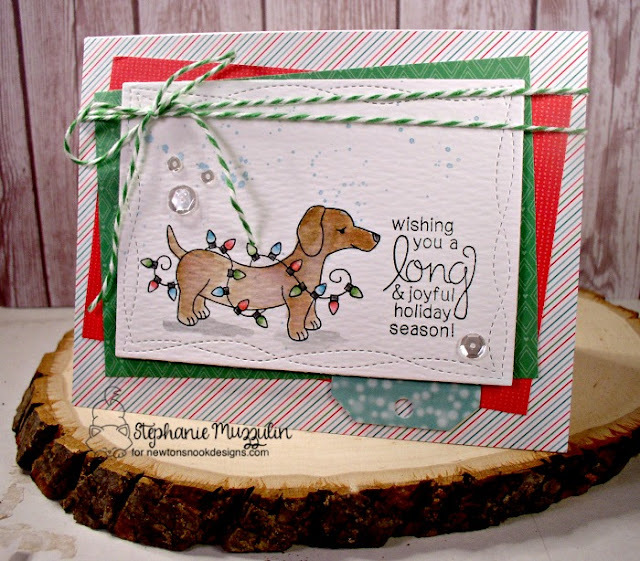 This card by Stephanie features our adorable doxie from the Holiday Hounds stamp set twisted up in some holiday lights! She kept her color palette focused on the red green and white with just little teal accents! 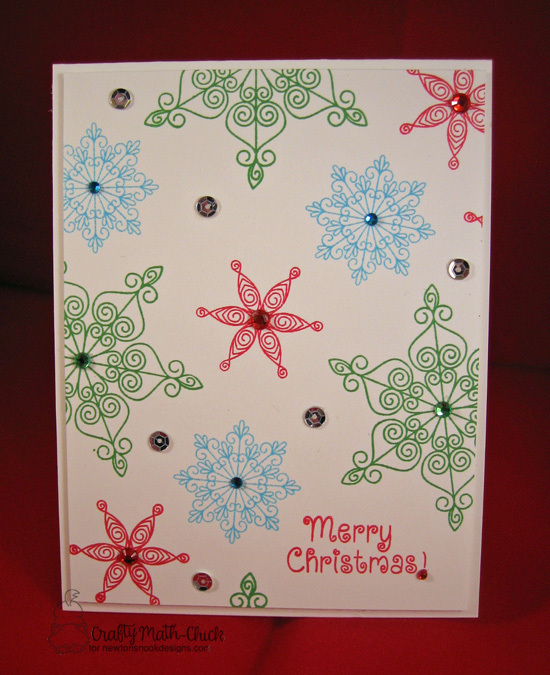 Here is another lovely snowflake card using the color combo with Beautiful Blizzard stamp set. Crafty Math-Chick created this one, using white for the base and added the snowflakes in the other colors of the challenge! I love the simplicity of this with the added sequins for a bit of bling! Here's one created by me! I used Winston dressed in his sweater from the new Sweater Weather stamp set and colored his sweater using the color combo! The colors really pop off the white card base!